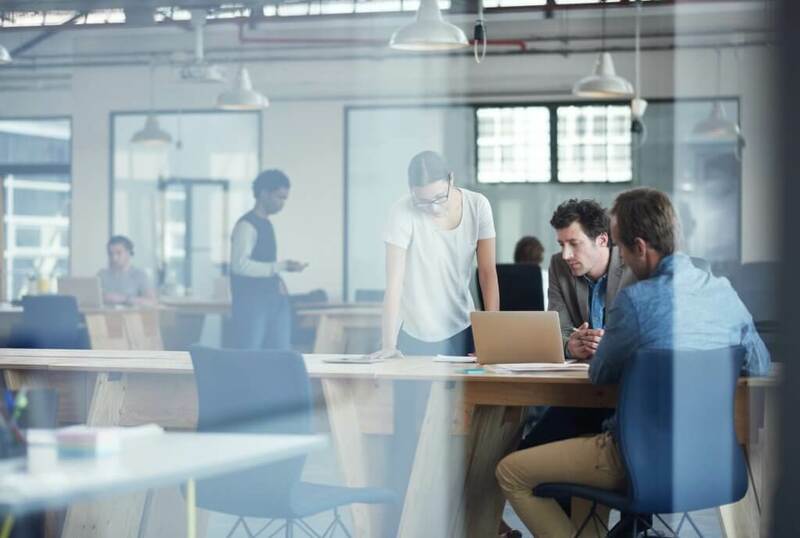 As summer begins to wind down and kids are back to school shortly, it’s also a great time for small businesses to start considering ways in which they can improve internal processes and office management. The biggest opportunity? Why not think about a major office cleanup. It’s never easy saying goodbye to the summer season, especially knowing what’s ahead for companies in colder climates but, of the best ways to reduce disappointment with this transition is to kick off the new season with an organized and clean office. You’ll also create a professional and inviting looking space in the mean time! Knowing where to begin with your office cleanup can feel overwhelming and stressful, but in all reality with some simple procedures in place and the right plan, it can be executed easily and in a manner that is virtually stress-free. Being in the document destruction industry for close to 20 years has given us knowledge and direction on what your office can do to enhance its organization, while keeping confidential information protected along the way! Split your work space out into sections. Tending to a messy work space can be made much easier to sort out when the tasks and areas to clean are broken down into steps. A good idea is to start with your desk before the filing cabinet, or maybe begin going through those stacks of boxes in the closet. Splitting jobs up so that you are approaching one at a time can make the world of a difference for you. Locate a good space to designate for supplies. Decide on a storage area or room in which you will keep ongoing supplies like post-it notes, staples, staplers and any other items you often need day-to-day. To keep your desk looking organized, take a look at what you could remove and throw out all together. Alternatively, store these things elsewhere so they aren’t taking up your desk space. Don’t forget your computer needs attention too! Maintaining a clean physical workplace is necessary for organization, but your computer is also one of the most vital resources situated on your desk. Ensuring that it is easy to operate and use by organizing desktop icons, emails and files can make your daily workflow productive and more efficient. What is contributing to your unorganized office? Coming up with a practical solution means you need to first identify the habits and causes contributing to it. Why are papers always found spread across your desk? Why are there coffee stains? Why is the stapler always gone? Figuring out the root cause will definitely assist in finding the answers to a cleaner and more organized office. Execute and Maintain these suggestions! Once you have a system in place to tackle cleaning and organizing your office, stick to it! Keeping on top of your organization system is vital to ensure that your cleaning efforts last into the future. Of course the last point is specifically important and yet can be most challenging to complete. Essentially small decisions in the moment can make or break whether clutter begins to pile up around your work space. Fortunately there are ways that you and your business can ensure that your business efforts last, all while improving security of information at the same time! A regularly scheduled shredding service is the perfect way to not only limit office desktop clutter, but also to improve the security of any confidential information that may wind up filling desktops and filing cabinets otherwise. Abraham’s On-Site Shredding Service features state of the art shredders that work in conjunction with our trucks; shredding is brought right to your business or office location! We make your appointment as care-free as possible, supplying you with security containers for your work place, where documents to be disposed of securely and in a secure manner. Our trucks then come by on a routine basis to remove all contents from the bin, shredding them onsite. After each service date, you are issued a Certificate of Destruction which guarantees the service and quality was executed properly and in line with our promise to you. Maintaining an organized office space can be challenging no doubt, but a clean up could be just the thing to get over the end-of-summer blues, and prepare your workplace for the beautiful fall season ahead. Contact Abraham’s On-Site Shredding Service today to learn more about how we can help your team.